Within a couple of weeks, NFL fans will start complaining about the preseason. But for now, they are just glad football is back. 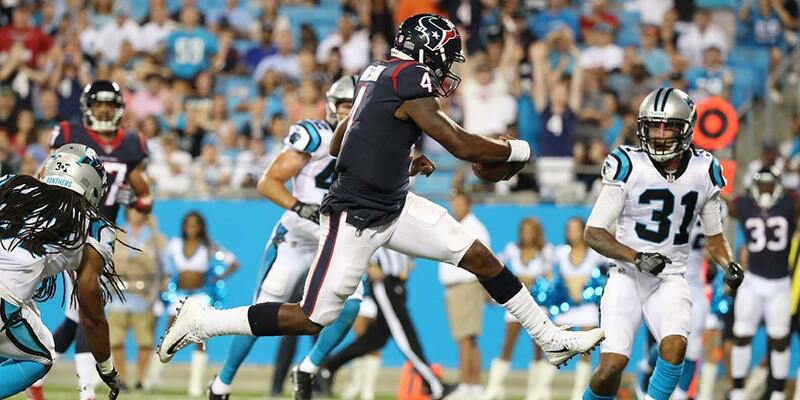 Wednesday night fans were able to enjoy the second game of the preseason, a nice contest between the Carolina Panthers and Houston Texans. Wednesday night? Since when does the NFL play games on Wednesday? As it turns out, the PGA Championship was scheduled to start Thursday morning at Quail Hollow in Charlotte. Rather than have two major sporting events on the same day, the Panthers played on Wednesday. It is the preseason, so no one really cares when games are. They were just eager to see what the star rookies would like in their first NFL game. To be fair, it is the preseason, and no one played against the other team’s best players. For those who care, the Panthers did win the game in the end, 27-17. While the score means nothing, there are some observations that can be made, and things learned. Houston’s quarterback competition may be complete BS, or it may not be. Tom Savage and the offense looked terrible on two of his three drives; borderline incompetent. But his third drive was a thing of beauty. Watson took a couple of drives to get it together as well, but when he did the offense looked pretty decent with him at the helm. Yes, Savage had a higher rating than Watson (92.8 versus 81.9), but a team does not win games when a quarterback only has 69 yards after nine completions (Savage was 9-11). Someone will need to shine over the next couple of games to make the decision easier on Bill O’Brien. D’Onta Foreman is going to be someone worth keeping an eye on over the next couple of weeks. The 41-yard gallop was just fun to watch. Most of his runs were nice, but for a big power back, it was disappointing to see him not lower his shoulder and get a first down on 3rd and one. J. Watt played one series and survived without apparent injury. Texans offensive lineman David Quessenberry made his NFL return after defeating cancer. He was diagnosed with non-Hodgkin T-lymphoblastic lymphoma three years ago. What the future holds for him remains to be seen, but he deserves a ton of credit for getting back on the field. 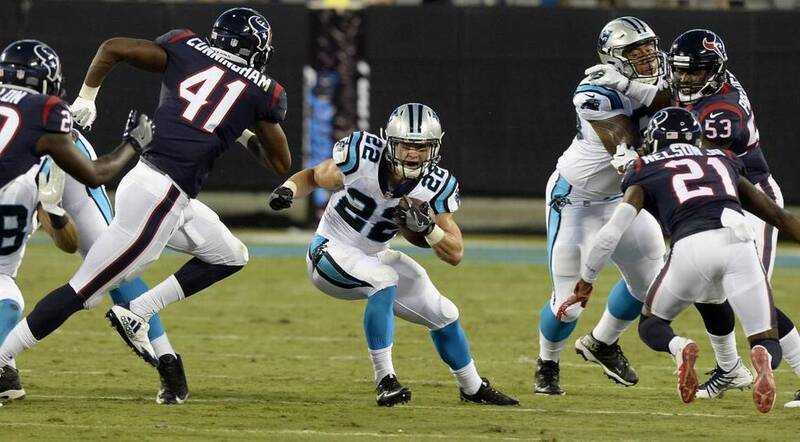 Christian McCaffrey did not play a lot, but he did have a couple of nice runs, a 12-yard dash through the heart of the Texans defense and a seven-yard one around the edge. He may not be the next great running back (yet), but he’ll be fun to watch. Second-year pro Damiere Byrd has one catch to his name, but if he can keep playing like he did Wednesday night, he’ll get a chance to make more this season. His 50-yard touchdown catch in the second quarter was awesome. His 12-yard touchdown catch in the third wasn’t bad either. Kelvin Benjamin may not have weight issues after all. There had been reports of his weight ballooning up to 260-270. But it sure didn’t look like he was having weight issues when he made his 23-yard touchdown catch. A lot of starters did not play so it is hard to draw too many definitive conclusions from the game. About the only thing, we can truly say after this one is that the Houston Texans need one of their two quarterbacks to excel in the weeks ahead. Neither was great in this game. But neither was bad. Next up for the Carolina Panthers will be the Tennessee Titans in Nashville (August 19 at 3 PM ET). The Houston Texans will take on the New England Patriots at home the same day (at 8 PM ET).